Welcome to Cub Scout Pack 891 (and Pack 435!). We are working together to provide a great program for the kids of Lake Highlands! Our schools include White Rock Elementary, Wallace, and Northlake, and 435 is from Merriman Park. We are an active organization with lots of fun for boys in 1st through 5th grade. Please take a look around and contact us for further information. When: Monday, May 14th, 6:30 p.m.
We are gettting read for our 2018 summer program and this is a great time to join Cub Scouts, whether you're getting ready to start Kindergarten or wrapping up the 4th grade, you’re invited. This meeting is for anyone with a rising Kinder through 5th grade boy who is interested in learning more or who already knows that they want to join Cub Scouts. We will have a fun activity for the boys while we share information with parents and answer questions. Why should my son join Cub Scouts? Scouting is Fun with a Purpose. Every Scouting activity moves boys toward three basic aims: character development, citizenship training, and mental and physical fitness. Cub Scouts helps develop personal confidence and self-worth and utilizes activities designed to prepare boys to make ethical choices and achieve their full potential. Of course, it’s fun! Our Cub Scouts go camping, indoor rock climbing, fishing, hiking, and all sorts of things. They take field trips to fire stations, police stations and more. They spend the night at the Perot and go to events like rodeos. They build cars and boats. There are activities such as shooting BB guns, archery, crafts, Scout skills, field games and sports, and more. They also help the community by doing volunteer work such as cleaning up at White Rock Lake and WRE. 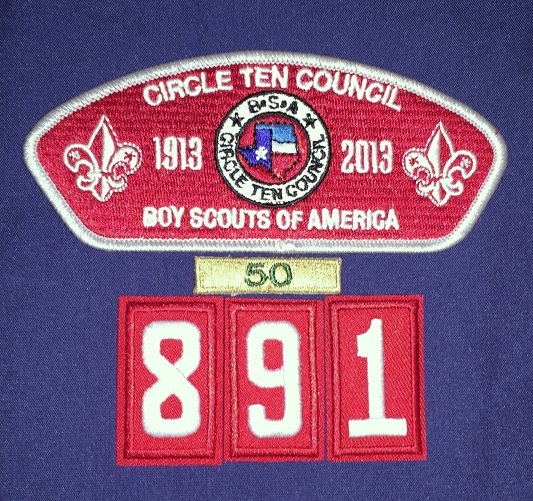 Since 1961, Pack 891 at WRE has upheld the Cub Scout motto “Do Your Best” through all of its activities. Cub Scouts encourages family involvement and participation. This is the age when you still have the greatest influence on what kind of person your son becomes. Pack 891 has boys from multiple schools but is historically the White Rock Elementary pack. Pack 435 has boys mostly from Merriman Park and is historically the Merriman Park Elementary pack. All - We have a great camping trip planned for the weekend of April 5-7th at Eisenhower State Park. We plan to cut off registration on Tuesday April 2nd, so please sign up ASAP. All - Just a few quick reminders. Our Pinewood Derby race will be on TUESDAY, March 26th at Merriman Park. If you have not recieved a car, please reach out to Darian immediately! As normal, the first Monday of the month is set aside for our Pack Meeting. This month’s topic is “A Scout Is Helpful”. We’ll also pass out advancement loops earned to date and hand out Raingutter Regatta kits. For everyone in Pack 891 getting a new uniform, you can get a 55 year "Veteran Bar" patch like the 50 year veteran bar shown below. You buy them when you're buying your other uniform patches, though sometimes I've found that they are low on inventory.